Primo Automation Systems offers best in class H Beam Welding Systems. Primo has a track record of 20 years in the Welding Automation field. We have supplied more that 50 machines in India & Worldwide. We understand the customer's requirement and our commitment towards customer satisfaction has brought us the evergrowing list of repeated customers. 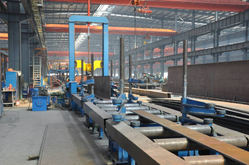 Primo Automation Systems offers best in the class H Beam Welding Production line. 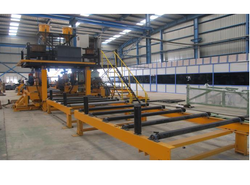 Primo Automation Systems Private Limited are one of the leading manufacturer of automated H - Beam Fabrication Machinery. Our automated H Beam Welding Machine serves the exact customer requirement and high quality of welding with increased productivity to compete in the current market. We have supplied our automated H Beam Welding systems to many PEB manufacturers in India and abroad and brought them to our list of satisfied and happy customers. Looking for H Beam Welding Line machine ?